The tragic shooting of 17 year old Trayvon Martin has reached all corners of the nation, and has jolted us back to the realities of racism and violence in our country. Were we to use the words “racism” and “violence” in the same sentence 50 years ago, most likely we would be talking about some Bull Connor-type police officer using clubs and hoses on Civil Rights marchers somewhere in the South, or we would be thinking of race-related violence in one of thousands of communities across the nation, north and south. By contrast in 2012 this event has inspired “Hoodie Marches” comprised of people of all races and cultures across the nation. Thus, it is worth noting that in the past 50 years such events have gone from being supported by the social and political structures to being the source of moral outrage all the way to the U.S. Congress. Having said that, it is equally important to note that this event points to the persistence of some troubling realities still at the core of our culture. One of my earliest teachers on racism, James Tillman, pointed out that racial prejudice is based in fear: fear of the “other” and fear of loss of control. Fear coupled with the power to act out that fear against another is often the source of overtly racial acts as was seen in this incident. George Zimmerman, the 28 year old neighborhood watch worker saw Martin on the outskirts of his gated community assumed that Martin, walking home from a corner store, was a threat to him and fired in what he called “self-defense”, when in fact the only thing Martin was “armed” with was the box of Skittles. What is more troubling that in reporting this case, the local police of Sanford, FL covered up the fact that Zimmerman had been ordered by the 911 contact to cease chasing the young man whom he thought was a threat to his community. They didn’t want to become embroiled in the controversy this now has become, forcing the Sanford police captain to temporarily resign. 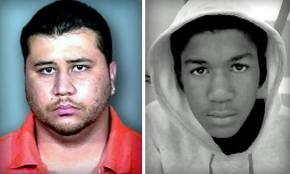 So why did Zimmerman see Trayvon Martin as a threat? As recorded on the 911 call, apparently it was that he was a young black male wearing a hooded sweatshirt. The image of hooded black males has been drilled into our subconscious as something to be feared, something dangerous, something to defend oneself against. Conrad Moore, another one of my racism teachers, has helped me see that racism is not just about the words we say or the overt behaviors we exhibit, but also the deeply embedded images in our psyches that have been drilled into us by caring parents, popular media, and our educational system. While we may not have shot someone in self-defense, who among us has not at least inwardly flinched when walking down a street or driving in our car, and seen a dark skinned male in a hooded sweatshirt or a dew rag or baggy pants? The reaction is involuntary, and as such is a reminder that despite our rhetoric and professed commitment to racial justice, we carry those images deep inside of us. However, there is another troubling aspect to this incident that coupled with the unconscious racism made it deadly: the fact that Zimmerman was armed with a gun. Florida law allows an individual to carry a gun in public, and used it in a public setting when they believe they are acting in self-defense. This law backed by the National Rifle Association was passed in 2005, and allows a person to “stand and fight” rather than simply flee a potentially dangerous confrontation. In essence it allows for the kind of vigilantism exhibited by para-military groups, self-appointed border patrols, and neighborhood watch volunteers like George Zimmerman. In an effort to be balanced I went to the websites of both the NRA and The Gun Owners of America (GOA) to see if they had any public comment on the Trayvon Martin shooting, but there was no comment that I could find. However, if George Zimmerman goes to trial claiming “self-defense,” no doubt the NRA will be right backing him and his right to carry the firearm he did. This “stand and fight” kind of law, like the silent racism impacting Zimmerman’s actions is also based on fear: fear of being attacked, and fear of the other. That same fear drives young men and women in urban communities to buy illegal guns to protect themselves, their families and their turf; it’s the same fear that drives a young man in Charlton, Ohio to go into a school and shoot up his classmates. And fear coupled with the power to inflict harm on another as we see in the Trayvon Martin case can be deadly. While it may seem overreaching to claim that all of us are indicted in the Trayvon Martin case, it does seem plausible that this incident should cause us to question the underlying fear that contributes to racial profiling and unnecessary violence. Ironically, as this case goes forward, the movie “Hunger Games” hits the screen, a story of a world where the powers-that-be set children against one another in a violent battle to the death. When one turns on the nightly news to hear school shooting, community violence or tragic cases like Trayvon Martin, Hunger Games does not seem so much just a story. What kind of world have we created and are we creating where young people driven by fear and desire to survive engage in such a battle to the death? Is it all that big a jump to suggest that George Zimmerman and Trayvon Martin were caught in their own kind of Hunger game? I wonder. As long as the stereotypes we carry around in our psyches are left unchallenged, we will be driven by fear. As long as the media and the structures of society divide us along race and class, and set young people against one another in a battle against their own fears, we will be corralled by that fear. As long as we pass legislation that allows people on the street to use firearms against another because they perceive them as a threat, we will have senseless killings. While Trayvon Martin’s death is tragedy in and of itself, it is also a tragic reminder that we as a society and culture have sick fears in our psyches that will continue to lead to senseless deaths, growing fears, and embedded racial strife. The right to carry a firearm is not the question here. If you exercise that right, you must make sure you are justified in doing so. The laws in my state (SC) require that if I use deadly force, I must be able to show that I was in fear for my life. I must show that using deadly force would be percieved by a resonable person as the appropiate response to the set of circumstances I faced. In this matter, I feel Mr. Zimmerman was in the wrong. He had no legitmate reason for confronting Trayvon. No one states Mr. Zimmerman saw a crime comitted. Trayvon did not stalk Mr. Zimmerman. Mr. Zimmerman was the aggressor in this case. Once he became that aggressor his claim of self defense is questionable. I can only base my opinion on the information provided in the media. 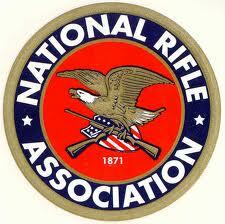 That information has been very biased against Mr. Zimmerman and the gun right community. He had the right to carry a concealed weapon to protect himself. But he was not protecting himself, he was trying to police his neighborhood against a percieved threat. That was not his job. A neiborhood watch is just that. Watch the neighborhood and report problems to the police for help. No immediate threat existed to his life or someone else. He should not have pursued Trayvon. If Trayvon attacked Mr. Zimmerman it was most likely in fear of a man following him. The disparity of their sizes also does not allow for Mr. Zimmerman to have used a gun. I respect his right to have had the firearm, just not his decision to use it. He should have been arrested for the shooting. Perhaps released on bail awaiting trial. That way he could have his day in court to justify his actions. A lost life has occured. he should have to justify himself. Do not condem my right to carry a fire arm because some else misused his. Mark – I concur with your description of Mr. Zimmerman(as depicted in the media) and his overstepping of bounds in his role as a neighborhood watch volunteer. My only point was to show that fear (however justified or unjustified) coupled with access to deadly force made easier by conceal and carry laws such as in FL, set the stage for deadly accidents and tragedies as we are now experiencing. Fear is out their for a reason. Everyday reports of home invasions, robberies, and murders are headline news. I live in what is considered a nice subdivision and can't leave my garage door up while I am home without having something taken. People are scared for a reason. People want to protect their familes and their property. They take advantage of their rights to carry a gun for this protection. The criminal sure has access to guns. The police can not be everywhere. Or anywhere in some instances, but that is for another comment. Florida's law for conceled carry is not the problem. It is the people that are governed by the laws that are responsible for their actions. It is always someone else at fault. We have to be responsible for our actions and be given the right to defend our homes and families. These laws allow for that opportunity. The only reason Trayvon's case became national is over a racial slurr possibly made by Mr. Zimmerman. That brought a spotlight to this incident. The media has used it for ratings. The usual suspects have jumped on the race band wagon. The bottom line is this. The law gives me the right too protect myself or my family against someone that attempts them harm. If I use deadly force, I must be justified. I must explain to the police why I acted the way I did. If necessary a court of law would decide my fate. The law is not at fault. 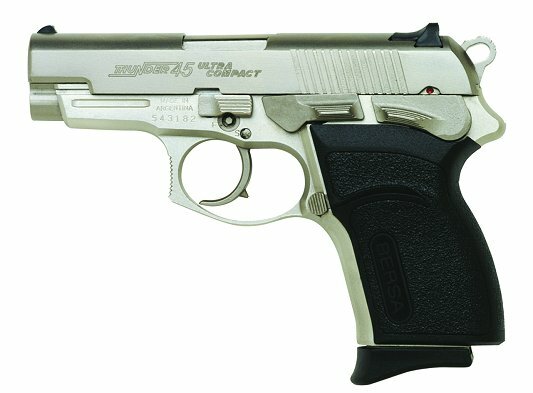 I could ask, if I walked past an alley and saw you or your loved one being attacked, would I be wrong to use my legally carried fire arm to intervene. I might think twice about doing it. I would open myself to financial ruin,law suits, a legal system that may think I acted wrong and try to make an example of me for political reasons. But, if I saved you or your loved one, would you feel I was justified? Thank you for your post. I am processing my disappointment and disgust of racist creative liberties taken in the execution of the Hunger Games novel into a movie; and the murder of Trayvon Martin. In my spirit, heart, and intellect the two incidents are linked. Yet I have struggled for the past 15 or so hours to synthesize both. On the eve of my son's 9th birthday, his race and love of his hoodie weigh heavily on my mind. Thank you for your thoughts, which have bridged two seemingly different events for me.